Note: Work up to a new 1 Record Max (1RM) on the Clean and Jerk today. The long-term gym goal is for everyone to be able to Clean and Jerk their bodyweight. On the AMRAP, prescribed weight for men is 135lb. and women is 95lb. This is an awesome workout! 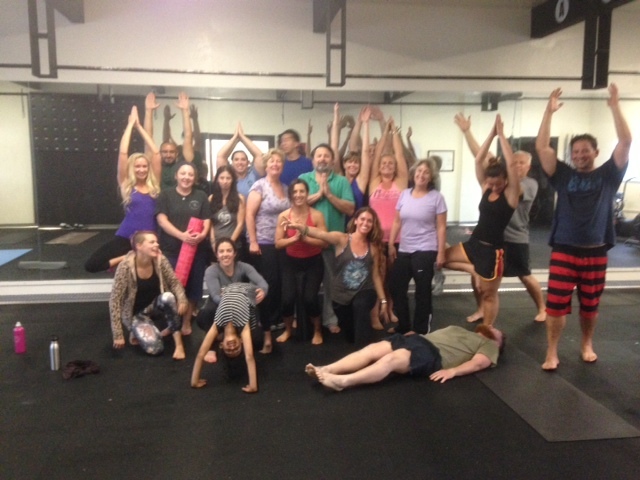 We are so happy and grateful for the growth of the CrossFit Amundson Yoga and Mobility Program. Beginning in May, 2014, we will be adding two morning Yoga classes to our schedule. The CrossFit Amundson Yoga and Mobility Program is a free class to all CrossFit Amundson Athletes. We are also allowing members of the public to enroll into our Yoga and Mobility Program for a limited time at $35.00 a month. If you are not a member of our gym, and are interested in starting in our Yoga and Mobility Program, please e-mail Info@CrossFitAmundson.com.